This book made me fall in love with the series! In a futuristic world nearly destroyed by religious extremists, Justin March lives in exile after failing in his job as an investigator of religious groups and supernatural claims. But Justin is given a second chance when Mae Koskinen comes to bring him back to the Republic of United North America (RUNA). Raised in an aristocratic caste, Mae is now a member of the military's most elite and terrifying tier, a soldier with enhanced reflexes and skills. When Justin and Mae are assigned to work together to solve a string of ritualistic murders, they soon realize that their discoveries have exposed them to terrible danger. For Sydney, trapped and surrounded by adversaries, life becomes a daily struggle to hold on to her identity and the memories of those she loves. Meanwhile, Adrian clings to hope in the face of those who tell him Sydney is a lost cause, but the battle proves daunting as old demons and new temptations begin to seize hold of him. Their worst fears now a chilling reality, Sydney and Adrian face their darkest hour in this heart-pounding fifth installment in the New York Times best-selling Bloodlines series, where all bets are off. This was an engaging story. I could not put it down!!! I love it! It kept me in the edge. 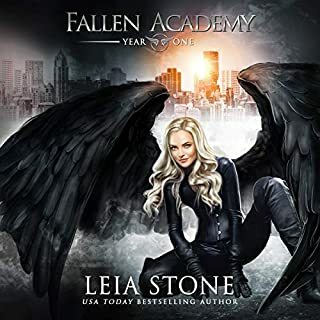 this is one of the most exciting books in the series and VA series! I love how the story twists and so sad for Sydney's experience at reeducation. fortunately things work out in the end (sort of). Why did they change Adrian's voice?!! Would you listen to Silver Shadows again? Why? What was one of the most memorable moments of Silver Shadows? Have you listened to any of Emily Shaffer and Alden Ford ’s other performances before? How does this one compare? I have read the previous books and listened to some. I love Emily Shaffer, I hate that they changed Adrian's accent that was part of his charm. You can't put a character out there for years being one way and then just change it, it felt wrong. I almost stopped listening to go and purchase it and read it myself. One moment that touched me, even though a small one, was when sydney was reunited with Hopper. I was wondering what was going to become of Hopper. 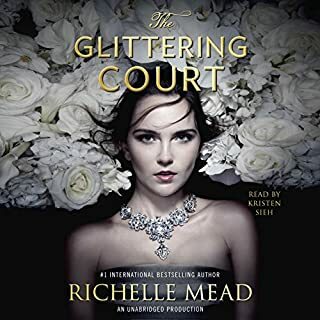 I have read and or listened to every book Richelle Mead has written, and I love every single one of them. 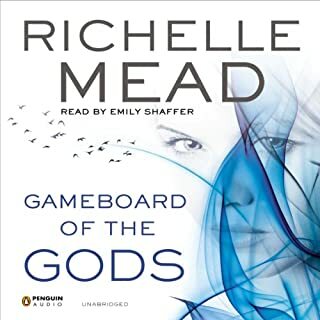 I also love the fact that Emily Shaffer seems Narrate all of them (the ones I have listened to) she is amazing and hope she stays around to narrate future Richelle Mead books. Currently listening to Game Bored of the Gods and yet again another amazing story and narration. 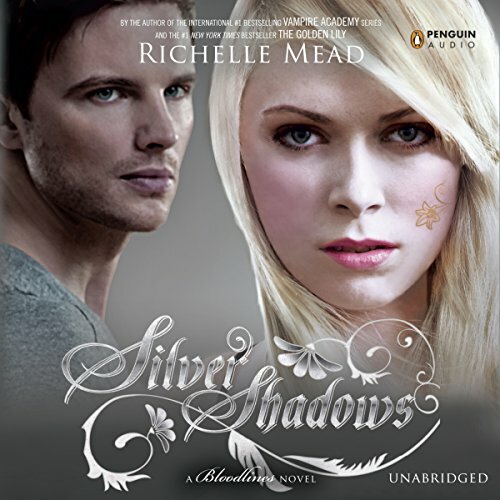 Richelle Mead’s Silver Shadows is the penultimate installment in the Bloodlines series and it’s a game-changer. The Vampire Academy series is one of my favorites but Bloodlines gives it a run for its money. 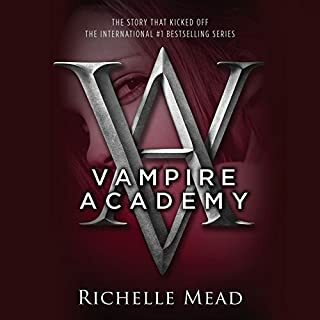 If you’ve followed these characters from Vampire Academy you’ll be gratified to see how they have developed into root-worthy series leads and enjoy all the twists, turns, angst, romance, and humor that Richelle Mead is known for. This installment brings the biggest challenge to Adrian and Sydney yet. The last book had them riding quite a high so that makes the fall feel that much worse. If you know Mead then you know she puts her characters through the ringer and some of her books can be quite dark, and this is one of those. Sydney and Adrian have to be strong to weather this storm, and of the two of them it’s no surprise that Adrian is the one to fall into bad habits. As the book begins Adrian and Sydney are apart, and Adrian can’t even use spirit dreams to make contact so he’s increasingly frustrated and drawn to self-medicate. He’s come a long way in this series this is true, though his one step forward, two steps back way is trademark Adrian. But have faith, Sydrian fans! Sydney is facing re-education, basically the thing we’ve feared the most. She’s surrounded by people who reject all her values and who want to tear her down. She has some tricks up her sleeve but is it enough? Her bravery, faith, compassion, and love in the face of such bleak conditions and horrific treatment are awe-inspiring. The setting takes us away from sunny Palm Springs, and Mead makes the reader feel the darkness and despair that her characters are going through. We meet some new characters that may become important in the final book, plus there are some special guest appearances as well. I listened to the Silver Shadows audiobook, read by Emily Shaffer and Alden Ford. Like The Fiery Heart, this book is in dual POV with Sydney and Adrian. I think it would be quite tortuous if we didn’t have Adrian’s POV in this one, considering Sydney’s separation from the group. Both performers get to show a lot of range in this book considering all the highs and lows that take place over the almost-11-hour book. Shaffer is a wonderful Sydney, and Ford fits Adrian to a T. I’ve heard that in the VA series audiobooks Adrian was portrayed with an English accent and that is not the case here, and I’m pretty sure that should never have been the case, but correct me if I’m wrong. Ford’s Adrian is cool and confident and distinctly Adrian. While Shaffer’s Sydney is smart, no-nonsense, yet emotional at all the right times. 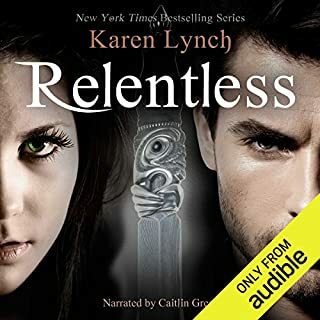 This was an audiobook I did not want to stop listening to. The conclusion sets up some very exciting (and ominous) stories for the final book! I love that Mead made this installment so surprising and memorable and I can’t wait to find out what happens next. Just keeps getting better and better! If you could sum up Silver Shadows in three words, what would they be? Too many to name without spoiling the book for those who haven't read it yet, so I'll just say the whole last half of the book was non-stop awesomeness. What does Emily Shaffer and Alden Ford bring to the story that you wouldn’t experience if you just read the book? I love Emily Shaffer in this series and I must say, Allen Ford gets points for improvement since the last book. While I prefer Emily's version of Adrian with his English accent (still don't understand why they phased that out, but oh well), I think Alden did a solid job in this book. If I had the time, I could have easily listened to this in one sitting. Alas, I have duties that prevent me from indulging that much, but I did finish it in two days. Never has housework been so fun! This is definitely one of my favorites, and that includes all the Vampire Academy books too! It actually reminded me of the early Vamp. Academy books. I can't wait until the next one! I whole heartedly recommend this book & especially the whole Bloodlines series & Vampire Academy series. They are all so good! What made the experience of listening to Silver Shadows the most enjoyable? Amazing author, amazing narrator, amazing series. What about Emily Shaffer and Alden Ford ’s performance did you like? They compliment each other. I read the first couple of books first and their voices and personalities match the characters in my mind. Romance, action, magic. .. where do you fit? One of my very favorite series ever! ! This I my favorite so far in the series! As a psychology student this book was fascinating. I loved Sydney’s resilience and wit. Richelle did not disappoint! Wow, this series just keeps getting better!!! Love the twists and turns that this series keeps bringing. Cannot wait to read the last installment. I couldn't put the book down. I am so interested in the rest of the story that it is hard if not impossible to pace myself. Binging on a book is good right?